Canada has been experiencing a deep freeze across the country. And in BC, mountain passes have been under warnings on and off due to snowfall and avalanche hazards. And on December 30, amid some of these warnings, a couple of Canadians made the best out of the situation. 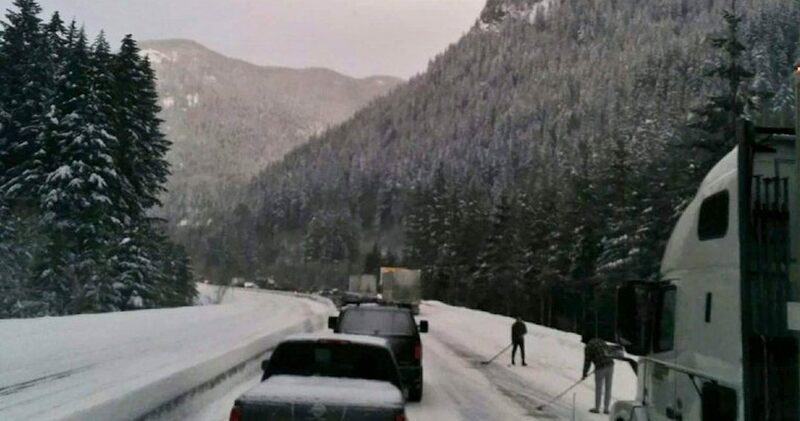 With delays on the Coquihalla, instead of staying in their cars and waiting for it all to pass, these guys hit the road for a good ol’ Canadian game of road hockey. According to the social media post, Jason Welch from Surrey, BC, snapped the puck drop on the highway. And this wasn’t the first time Canadians took to the road for a game after highway delays on the Coquihalla. In November, kids were snapped playing hockey after delays due to snowfall.